"My Cyprus, my Κύπρος, my Kıbrıs" blogger Natalie Hami writes about the Cypriot connection to the land in a special guest post for Colive. Bound to the land for so many years, many of us Cypriots seem to be unwittingly connected to it. Somehow we always seem to default back to it – back to our roots, to our village and back into our mother’s and grandmother’s kitchens. We eagerly accept the gifts of fresh eggs, herbs, pumpkins, olives, cucumbers, oranges and mandarins that are piled into the car, on returning from village to city. Food seems to be at the heart of the Cypriot experience. 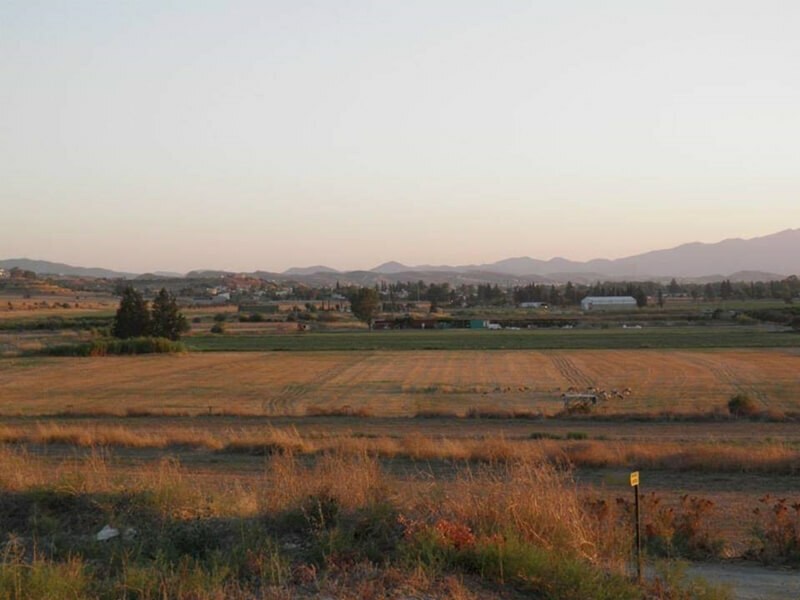 Having lived in a village - Potamia – for 18 years and the rest in Nicosia (and some abroad for study purposes), going back to the village, to the land where I spent my childhood, is always a novelty and a comfort. My own connection to the land originates from my family’s long history in farming. In Potamia my grandfather was known as a ‘τσιφλικάς’ (tsiflikas) – meaning someone who owned and farmed an extensive amount of land, but also provided employment to his fellow villagers through that land. And at the centre of it all was the τσιφλίτζη/çiftlik or in English, the manor house. Unfortunately, I never got to meet the ‘τσιφλικάς’, my grandfather, that everyone spoke about with such pride and warmth. However, I have managed to see pictures over the years with piles of tumbling citrus fruit, women struggling under the weight of baskets filled with produce and workers taking a break in the fields with a lunch of bread and olives. In a Cyprus that is fast-developing away from its agricultural roots, it’s almost a relief to discover a project that is taking Cyprus back to its roots. I was recently invited to an olive oil tasting by the Colive Oil team, based at the Home for Cooperation. Colive Oil is a premium olive oil with a social mission. Most importantly, the olive oil is a 100% Cypriot product, more "pan-Cypriot" than "bi-communal," incorporating olives and people from all over the island, as explained by the company’s founder and CEO, Hasan Siber. The company began with two friends, a Turkish Cypriot – Hasan, and a Greek Cypriot – Alexandros Philippides (currently CFO of the company), who met during their first few weeks at university. 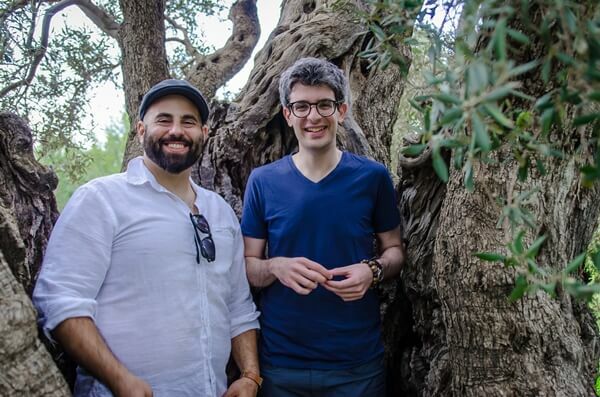 Their friendship held them in good stead, as even after their studies were completed and Alexandros returned to the island and Hasan stayed in London, they stayed in touch and collaborated on a number of projects. When Hasan came up with the idea of Colive, he turned to Alexandros. "We bring together communities in conflict in Cyprus to encourage cooperation, and in turn, peace. We work with family farms that are located on both the northern and southern parts of the island. In fact, our olives are the first to cross the border dividing the two sides,” Hasan said. Colive Oil creates a single stream of premium olive oil with the signature taste of Cyprus and highlights a marker of unique Cypriot identity that can be shared across the divide. With sharing at the core of the company’s ethos, 10 per cent of all its profits are donated back into the community. Giving the Colive Oil its unique and multi-layered flavour is the indigenous Cypriot/Kibrisli/Kypriaki olive cultivar that grows all over the island. Many of the olives are cultivated from monumental trees approximately 900 years old and are marked by their rich, intense flavour. Reaching across boundaries, the olive tree itself seems to feature largely in our lives in a number of ways, from the olive branches placed on the Republic of Cyprus flag, signifying peace and in fact designed by a Turkish Cypriot, to the burning of its leaves used by both communities to ‘ward off the evil eye’ and lest we forget that inelegant plastic bottle of homemade olive oil that we all have sitting in our kitchen cupboard waiting to dress a simple ‘horiatiki’ (village) salad. The Colive Oil team would like to thank Natalie Hami for sharing her words with us! Make sure you visit her blog "My Cyprus, my Κύπρος, my Kıbrıs" to read more about her life and thoughts on Cyprus.